At 2:46 P.M. on March 11, 2011, the southern part of Hokkaido, northeast Japan, and the Kanto region were struck by the Great East Japan Earthquake. The unprecedented scale of the earthquake and the resulting tsunami caused massive destruction that led to the outbreak of a nuclear incident. Of course on the other hand, compared to mass media, such as television and radio, there are more than a few voices which point out that social media spread misinformation or unconfirmed information to the public, and that it is ill-suited for the transmission of information during times of emergency (for example please refer to this Business Nikkei article). Television has a greater possibility to transmit information about a tsunami directly after an earthquake or information concerning the earthquake's epicenter to a large number of people. In addition, it was been pointed out that social media has trouble preventing misinformation from going viral. There are endless debates about social media's transmission of information related to the earthquake and nuclear accident. This paper, using these debates as its base, will outline social media's communications, particularly Twitter's, and its function as a dissemination tool for support activities. Attention will be paid to Twitter's reaction to the earthquake and nuclear accident with a “voice of hope” and a “festive voice.” From there, we will discuss the “meeting” of scientific communication and ordinary communication that took place on Twitter. From a social media point of view, this paper with address the aforementioned issues. 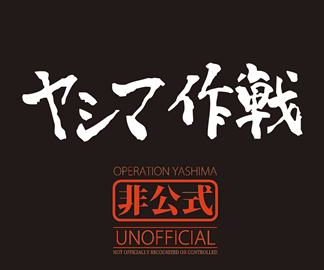 After the nuclear accident, one of the phrases that spread around Twitter was “operation yashima.” This “operation yashima” is a phrase that appeared in the anime “Neon Genesis Evangelion.” It is the name of an operation that cut power to all of Japan in order to gather energy for the weapons needed to make war. Not limited to “operation yashima,” “operation ueshima” came about in response to the fear of food shortages and aimed to suppress panic buying and the hoarding of food and other goods. Also, “self-restraint mode” spread throughout the country, and people who opposed this self-imposed restraint were denounced as “imprudent.” For example, people who tweeted that they were going to eat at a restaurant, directly after the earthquake, became the object of criticism. Though there was a slightly festive mood, in this type of social media communication a shift in Japanese people's thinking and the seed of “hope” can be found. In Japan people found “hope” in their solidarity and the beginnings of mutual aid. On Twitter, the tweet “Japan isn't finished yet” began to gain popularity. …But maybe the Japanese people could use the experience of this catastrophe to rebuild a society bound together with a renewed trust. While many will revert to their indecisive selves, the experience of discovering our own public-minded, patriotic selves that had been paralyzed within a pernicious cynicism is not likely to fade away. There were many hopeful opinions, similar to Azuma's, that this crisis would bring about an interest in the public and a rebuilding of morals. 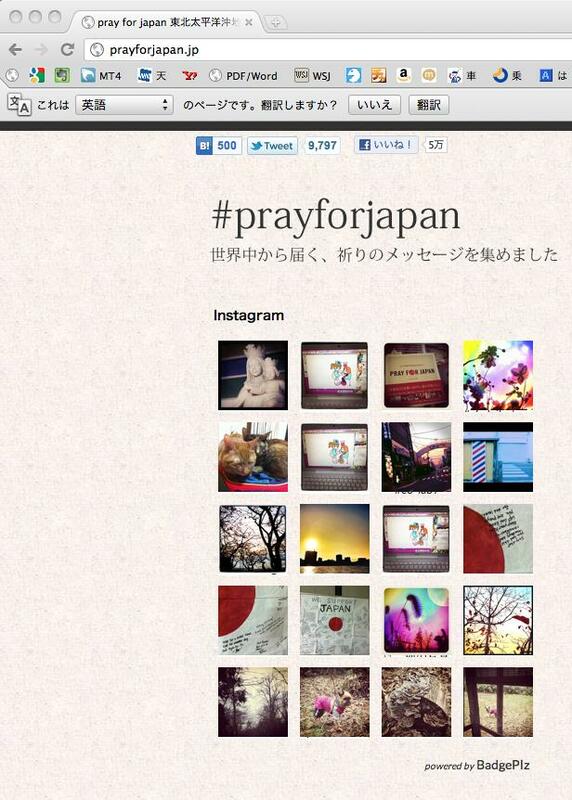 Along those lines, the website “prayforjapan," which consisted of “poignant heartwarming messages” collected from Twitter, was created and accessed more than 6,000,000 times. On the other hand, however, it didn't take long for the characters that repeatedly appeared in AC Japan's commercials following the earthquake to be remade, remixed, and mashed up by the amateur viewing audience. The content that accompanied the earthquake and nuclear accident became the object of media consumption among mostly young people. That action might have sensationalized the earthquake and nuclear accident. I am from northeast Japan and had many acquaintances in the disaster area. After their safety was confirmed, however, I can't deny that I consumed this type of information about the disaster area via social media. Creating mashups and remixes are a normal practice for the users of social media and something they were familiar with even before the earthquake. 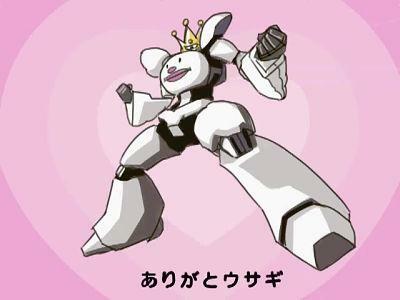 One of the characteristics of social media sites like Niconico Doga is the reuse and re-appropriation of content and the communication that takes place in reaction to the uploaded content. A few days after the earthquake, videos promoting mutual aid and public action that possessed characteristics of “light-hearted communication” (Suzuki, 2002) and “stressed social links” were seen. …The plea has grown so loud that the hashtag #edano_nero has become a global trending topic on the micro-blogging service on Monday. “Nero” means to sleep in Japanese…. ? Huruichi (2011) calls this series of events a “goodwill festival.” The people involved in the spread of “operation yashima” and “operation ueshima” might have been aroused by this sense of “goodwill.” As Huruichi points out, however, for all the “goodwill” there was also misinformation and information, in turn, that was trying to correct the misinformation, that was spreading around the internet like chain mail. It may be that the phenomenon of hope felt in Twitter communications was caused by the unity of the Japanese people or, and I say this with some caution, it may have been the perception “as if” unity was being sustained that was influenced by the architecture of social media (Hamano 2008). Not only journalists were communicating information they obtained from academics or press conferences on the nuclear accident, but a condition occurred where it seemed that everyone was a “journalist,” so to speak. However, with regards to the nuclear accident, even if ten or more of these so called “everyone journalists” got together to think about what to do, still no breakthrough would be made. Accordingly, the “voices of scientists” experienced a large number of retweets. The result was that scientists became exposed to a lot of criticism. Japanese have never wanted to know so urgently about nuclear power and radiation as they do now. Japanese want to understand more deeply the knowledge and way of thinking of science, how to use technology wisely, and the future of energy. Why won't scientists seize this opportunity to proactively make progress in fulfilling these desires? Yashiro (2011) points out that the “enlighten and lead” style of conventional scientific communication has its limits. If we follow Yashiro, the current way of disseminating scientific information only gives people “hints” of how they should act. It is not scientific communication that is actually “enlightening and leading” the people. Instead of grasping science as something that can give us unconditional safety and security, rather, it should be something that can grasp the people's doubts and untangle them. Yashiro points out that the existence of social media like Twitter would be important in accomplishing this. Today, with the prevalence of social media like Twitter, one sees the intersection of scientific specialists' speech and amateurs talking about science online. More than ever, attention has been focused on scientific communications. I believe this occurrence has brought about the entanglement of scientific and ordinary language. As I mentioned before, accurate information was often retweeted based on a sense of “goodwill.” The beginning of these goodwill retweets made the actions of amateurs sending out information concerning the earthquake and nuclear accident very apparent on Twitter. Oguma (2011) points out one of the primary causes in his book “Ideological Map of the Post-Earthquake-Disaster Era: The Rise of 'New Free Democracy'.” He brings up the point that because the disaster continued unresolved for such a long period of time, it had the chance to be discussed from various perspectives in politics, economics, social science, science, and culture. With regards to nuclear power and radiation, in Japan specialized vocabulary has become so common-place that it is used in variety and talk shows on TV. The same has happened with social media. If you look at Twitter, specialists aren't the only one's using academic terms with authority. There are more than a few regular users who are using these terms and having their tweets retweeted. The danger of radioactive substances and nuclear waste have, of course, been repeatedly debated among scientists in the past. I think introducing social media into these debates, which have been occurring among scientists, and letting the public begin to participate is an extremely interesting event in post-earthquake social media. However, it is also a fact that no one could accurately predict the accident at the nuclear reactor, the following explosions, or the resulting events. The scientific approach to these dangerous conditions is to only talk about the “range of possibilities” in regards to these events. For the average amateur, however, it is difficult for them to jump onto this scientific approach and carry on the discussion. Within the domain of science, there are various ways of communicating that exist, but those outside the domain are unaware of them. Accordingly, when reports were made based on scientific approaches and estimates, there was the possibility that they were seen as nothing but “lies” and “cover up” in the eyes of the audience. Also in regards to the nuclear accident, scientists stood on both ends of the spectrum speaking from their respective viewpoints. In this case, scientists were branded as being ambiguous. Scientific discourse exists at both ends of the spectrum, and while it may be true that it can be seen as ambiguous, I want to avoid any panic. The scientific approach is different from prophets and their prophecies. Therefore, it is necessary to consider this issue within the context of scientific learning. I would like to introduce Professor Norifumi Arimoto's, of Yokohama National University's Department of Education and Human Sciences, and my own debate on this issue. Science exists to estimate and explain phenomena, but that does not mean “predict” them. Emphasis must be put on the fact that science, at the very most, can show a range of possibilities. Twitter and social media, as one form of communication, did not expose science's lack of ability to disseminate information. Rather, it manifest the different context from which science speaks. We can call this the difference between “scientific literacy” and “ordinary literacy.” Those within the realm of “scientific literacy” have discussed the safeties and dangers of nuclear reactors through scientific means of communication numerous times before the current disaster even began. The point that I want to bring attention to is that during the current disaster and nuclear accident social media has served as the arena for the “collision” and “confrontation” of people who belong to the groups of “scientific literacy” and “ordinary literacy,” respectively. I believe scientists are misunderstood. The current disasters increased scientists' communications to the general public. This caused them to fill a role perhaps best left to politicians, journalists, and, in certain cases, TV personalities. What should scientists and science universities do? When the radioactive grounds of a school are right before their eyes, what should science really say? I believe a context for learning was formed when “science” and “ordinary” collided. I believe the ability to create an exchange between specialists' “scientific literacy” and amateurs' “ordinary literacy” is important for scientific communication. In order to set up this condition, education must play a large role. I believe the earthquake, nuclear disaster, and the communication continuing even now in social media will serve as an opportunity for education to rethink what it must do. Hamano, Satoshi. 『アーキテクチャの生態系』 NTT出版, 2008. Click here for video interviews, photos and more resources to help educators teach about the Great East Japan Earthquake and Tsunami. Daisuke Okabe, Information Ecology, (New Media), Tokyo Metropolitan University﻿. Translated from Japanese by Owen Rojek.